Hi friends! Whew it feels like it has been forever since I have brought you reviews but if I am being honest, I have barely even had time to read! I have, however, had time to listen to ALL THE AUDIOBOOKS!! Well, “all” really covers too wide of a range as in actuality I started some pretty awesome but LONG series on audiobook and have been devouring them for months. Let’s take a looksie..! 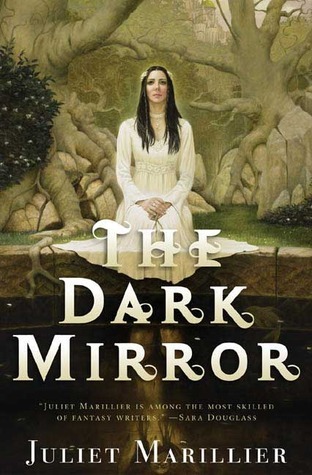 The Dark Mirror was one of those books that broke my heart a little bit, the relationship between Bridei and Tuala is very sweet and I loved the strength shown from both of them. Each has to deal with their own struggles, but it was the struggle that Tuala faced that really felt heart wrenching to me. I liked how The Dark Mirror set the tone for the rest of the series, though the next two books branch off, they always come back to the backbone that is Bridei’s kingdom, and the relationship between he and Tuala. If I am being honest, though I did enjoy book one in this trilogy, I did not LOVE it and it was the promise of better things to come that had me continuing on with the series. The relationship between Bridei and Tuala was very sweet, but it was the secondary characters that really piqued my interest. Had I not known that the next two books would be focusing on Faolan (hubba, hubba) I am not sure that I would have been as excited to continue on. Blade of Fortriu was ethralling, heart wrenching and at times a bit terrifying, I enjoyed it a lot more than The Dark Mirror. I found the characters to be more layered, and more interesting. However upon contemplation, I can honestly say that I wouldn’t have enjoyed this novel as much as I did had I not become completely enamored with Faolan. I found him to be intriguing and dark and you guys know how I love a man who broods! Though I did like Ana for the most part, I didn’t entirely enjoy or believe her romance and I often found myself frustrated with her naive behaviors on more than one occasion. If reading Blade of Fortriu did one thing for me, it made me want to start Well of Shades immediately. I am so eager to see what is in store for Faolan, and have faith as each book in this series keeps getting better and better. Oh, I loved it. I loved it so much. 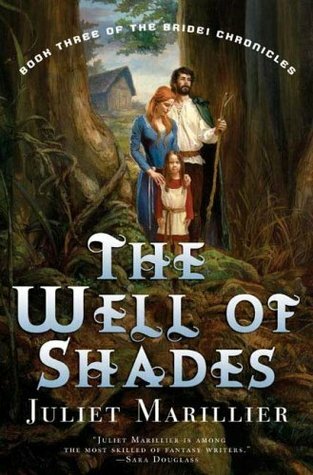 The Well of Shades was by far the best book of the Bridei Chronicles. I loved how strong and compassionate Eile was, and I loved Faolan. I loved Faolan beyond words, really. He has quickly made it to the top of my list of favorite Marillier men (after Bran, of course). The relationship between the two was fierce and absolutely heart wrenching. The continuation of Bridei, Tuala, and Briochan’s story was enthralling and I found myself liking these characters much more than I had in the previous two novels. The Well of Shades broke my heart, and kept me guessing. It was full of intrigue, and love in many forms. I am only sorry that Juliet Marillier couldn’t continue on with this series as she had planned as it is one of her very best. I would have loved to have seen what came of Saraid and Derelei’s friendship. Highly recommended. This entry was posted in Reviews and tagged adult, Authors, epic fantasy, fantasy, fiction, historical fiction, juliet marillier, love, reviews, romance. Bookmark the permalink. Hurrah for more books for me to check out from Juliet Marillier! You know that I’m truly enjoying her Sevenwaters series (though I’ve taken a teensy break), so I definitely want/need more of her stuff. Glad you enjoyed these books! I really want to read all the Marillier books. Looking forward to getting to this series someday! I’m glad you stuck with this series, since Faolan is more than worth it. He’s definitely one of my favorite Marillier men. I was also nervous about branching out from the Sevenwaters series, but a few years ago I read the rest of Marillier’s series and standalones. I didn’t enjoy a couple of the YA ones, but other than that, they are all amazing. 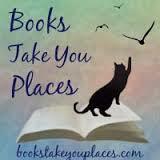 Have you read any others?